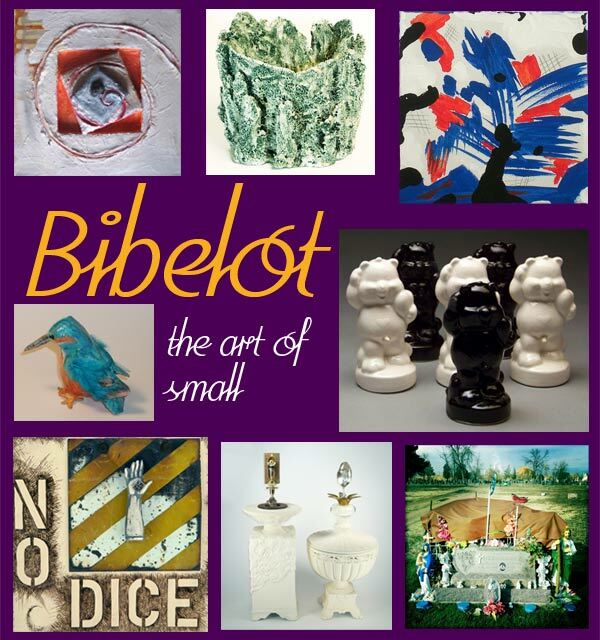 Our annual Bibelot show features the beauty of small works. We have everything from photography and paintings to sculpture and jewelry — lots of wonderful and affordable pieces for holiday gift-giving. And a big thanks to Lauri Lynnxe Murphy for being the juror! This year’s artists include: Anna Cash Mitchell, Doug Kacena, Kim Anderson, Ken Crost, Patricia Gordon, Louis Gustafson, Claudine Schneider, Linda Mooney, Kristin Gruenberger, Mariah Baumgartle, Danielle Williams, Siobhan Keleher, Andrew Peterson, Minden Ten Eyck, Stephanie Gaumond, Frank Lucero, Steve Musman, Justin Deister, and Nate Russell.